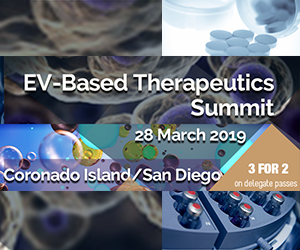 Extracellular vesicles (EVs) mediate targeted cellular interactions in normal and pathophysiological conditions and are increasingly recognised as potential biomarkers, therapeutic agents and drug delivery vehicles. 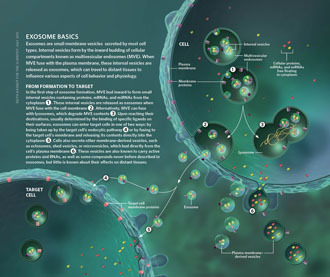 Based on their size and biogenesis, EVs are classified as exosomes, microvesicles and apoptotic bodies. Due to overlapping size ranges and the lack of specific markers, these classes cannot yet be distinguished experimentally. Currently, it is a major challenge in the field to define robust and sensitive technological platforms being suitable to resolve EV heterogeneity, especially for small EVs (sEVs) with diameters below 200 nm, i.e. 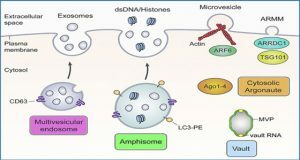 smaller microvesicles and exosomes. Most conventional flow cytometers are not suitable for the detection of particles being smaller than 300 nm, and the poor availability of defined reference materials hampers the validation of sEV analysis protocols. 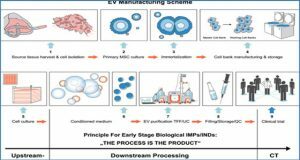 Following initial reports that imaging flow cytometry (IFCM) can be used for the characterisation of larger EVs, researchers at University of Duisburg-Essen aimed to investigate its usability for the characterisation of sEVs. 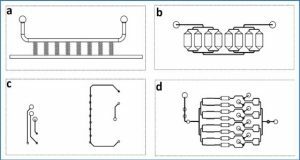 This study set out to identify optimal sample preparation and instrument settings that would demonstrate the utility of this technology for the detection of single sEVs. 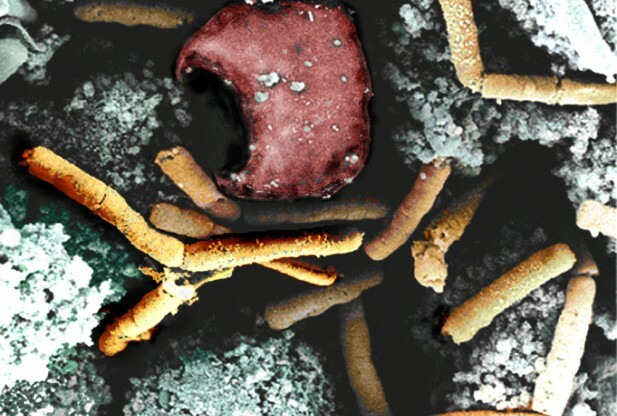 By using CD63eGFP-labelled sEVs as a biological reference material, the researchers were able to define and optimise IFCM acquisition and analysis parameters on an Amnis ImageStreamX MkII instrument for the detection of single sEVs. 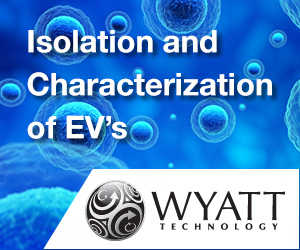 In addition, using antibody-labelling approaches, they show that IFCM facilitates robust detection of different EV and sEV subpopulations in isolated EVs, as well as unprocessed EV-containing samples. These results indicate that fluorescently labelled sEVs as biological reference material are highly useful for the optimisation of fluorescence-based methods for sEV analysis. 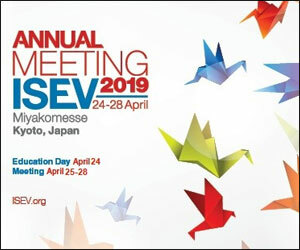 Finally, these researchers propose that IFCM will help to significantly increase our ability to assess EV heterogeneity in a rigorous and reproducible manner, and facilitate the identification of specific subsets of sEVs as useful biomarkers in various diseases. (a) Map of the pCL6-CD63eGFP plasmid used to generate the THP-1:CD63eGFP cell lines. 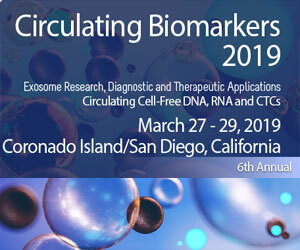 The plasmid backbone is based on the lentiviral vector pCL6-IEGwo (CMV; CMV promoter; SD, splice donor; LTR, long terminal repeat; SA, splice acceptor; RRE, Rev responsive element; cPPT, central polypurine binding tract; SFFV U3, U3 promoter of the spleen focus forming virus; WPRO, woodchuck hepatitis virus post-transcriptional regulatory element optimised). 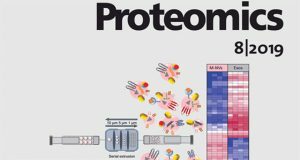 (b) Flow-cytometric analyses of eGFP expression in THP-1 control and THP-1:CD63eGFP cell lines. (c) Schematic outline of sEV isolation protocol used. 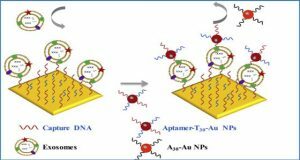 (d) Analysis of sEV surface signatures in 0.22 µm filtered conditioned medium from control and THP-1:CD63eGFP cells by multiplex bead-based flow cytometry using a mixture of anti-CD9, anti-CD63 and anti-CD81 detection antibodies. Background-subtracted median fluorescence APC intensity values are shown. Numbers next to the CD63 bar indicate values obtained for CD63 capture bead subsets. (e) Size distribution as measured by NTA of small EVs (sEVs) derived from control and CD63eGFP expressing cell lines. (f) Flow-cytometric analysis of CD63eGFP sEVs with the Cytoflex (triggered on VSSC with the threshold set to 2,000, otherwise the same acquisition parameters as in Table 1 were applied) and the ISX instruments compared to buffer controls. To improve comparability between both instruments, both datasets are plotted with log and biexponential axis scaling. Indicated eGFP(+) sEV concentrations were determined volumetrically. Representative example image sets derived from ISX analysis are shown below. (g) Dotplots of the same THP-1:CD63eGFP-derived sEV sample before and after detergent lysis (30 min, 0.5% NP-40 buffer). The figure shows one out of at least two individual sets of experiments with comparable outcome. Görgens A, Bremer M, Ferrer-Tur R, Murke F, Tertel T, Horn PA, Thalmann S, Welsh JA, Probst C, Guerin C, Boulanger CM, Jones JC, Hanenberg H, Erdbrügger U, Lannigan J, Ricklefs FL, El-Andaloussi S, Giebel B. 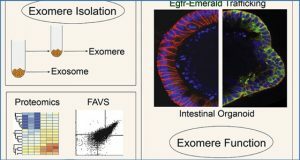 (2019) Optimisation of imaging flow cytometry for the analysis of single extracellular vesicles by using fluorescence-tagged vesicles as biological reference material. J Extracell Vesicles 8(1):1587567. [article].